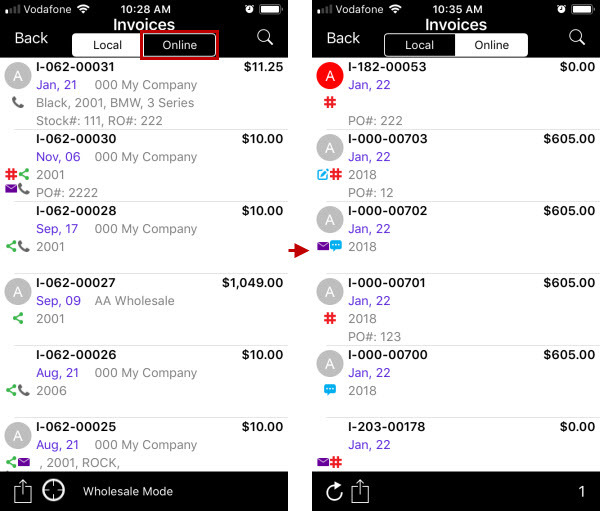 ...and added the Local button and the Online button to the header of the Invoices screens so that you can easily switch between your invoices (Local) and team invoices (Online). 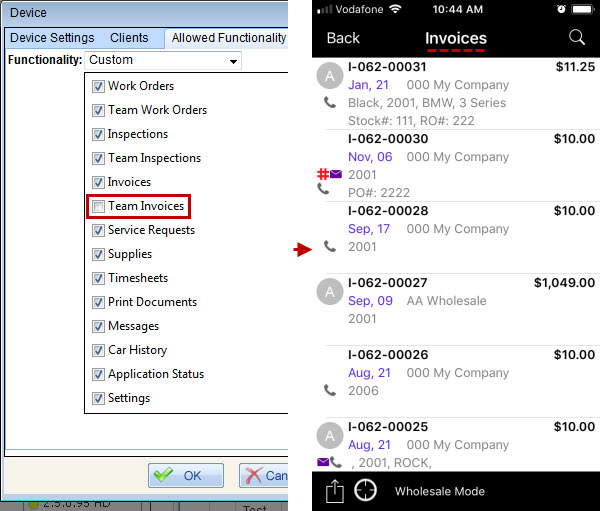 Note If either Invoices or Team Invoices is enabled for your device, then no buttons are shown on the header of the Invoices screen. 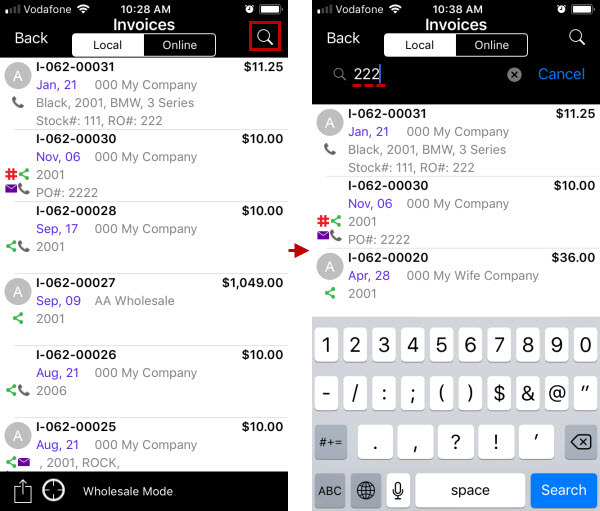 When you search your invoices (the Local mode) you don’t need to specify a particular invoice field any more because now the keyword is searched among all appropriate invoice fields, the same way as it works when you search team invoices (the Online mode). 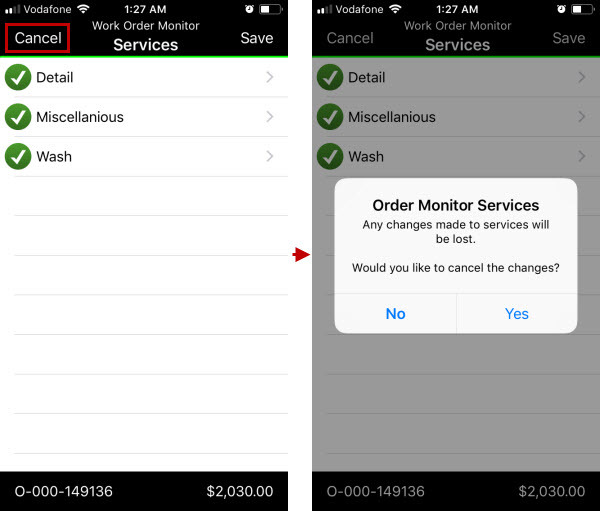 We have added the Cancel button to the Services screen of monitored work orders, so now you can leave the screen without saving changes. 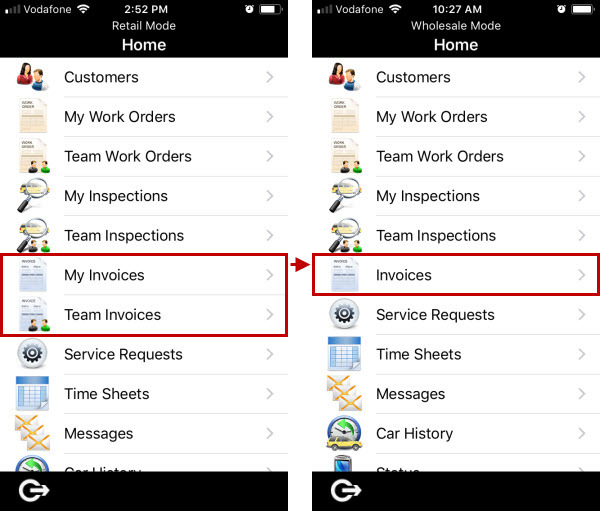 Note We have also implemented a validation procedure, so now you cannot save a team work order if technician split of services is incorrect.